Julia Griffel was born, raised and currently resides in New York City. The edgy, vibrant city vibes shine through in her art. Often surrealistic and fashion-forward subjects although whimsical and light in aesthetic also convey deeper meaning and a specific point of view in their tone. In today’s contemporary art world pop-culture imagery (I.e. Kate Moss, Cartoon characters, American labels such as Marlboro) are ubiquitous and therefore often quite boring. What constitutes what is “art” is blurry. Home Decor, fashion illustration, comic strips etc. all fall under the “art” umbrella. Julia’s personal definition of what constitutes art, is it should convert a specific personal point of view. Because art is a reflection of one’s personal sensibilities and creative outlook, it should be unique and recognizable. 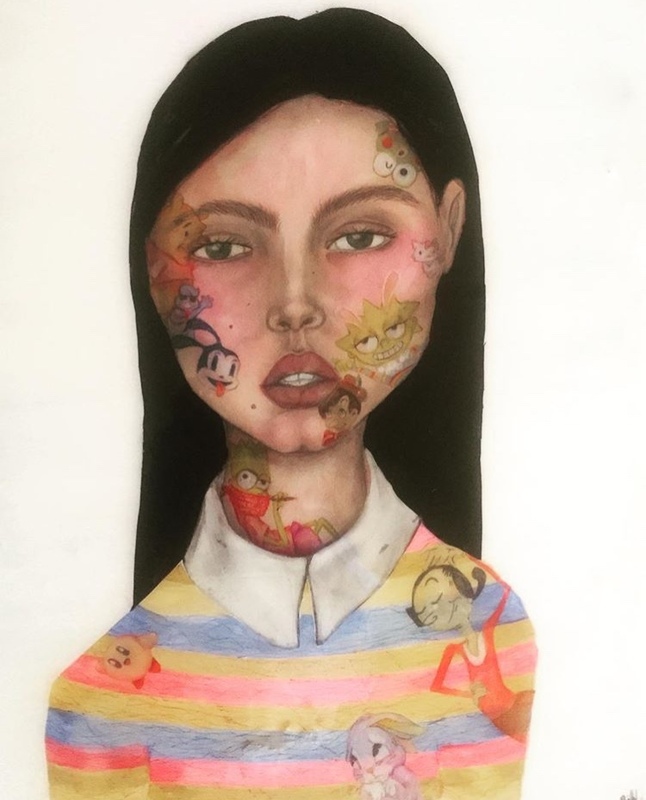 Her women and cartoon characters are all done with her personal style. Julia believes art becomes worthy and magical when it triggers a thoughtful or emotional response. Only then can it be inspirational and impactful. It need not be heavy-handed, or super intricate. Simplicity can be as striking as complicated if not more so, but meaning must exist. Julia’s hope is that her viewers can see past just the aesthetics and into the sensibility of her subjects.